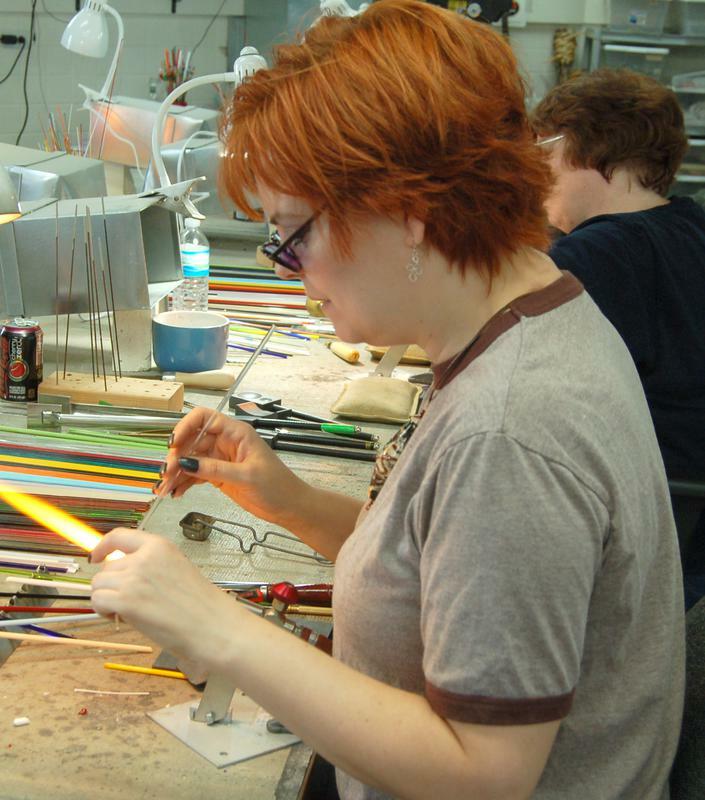 ​Learn how to make your own beautiful glass beads and enter the mystical and ancient world of "lampworking." 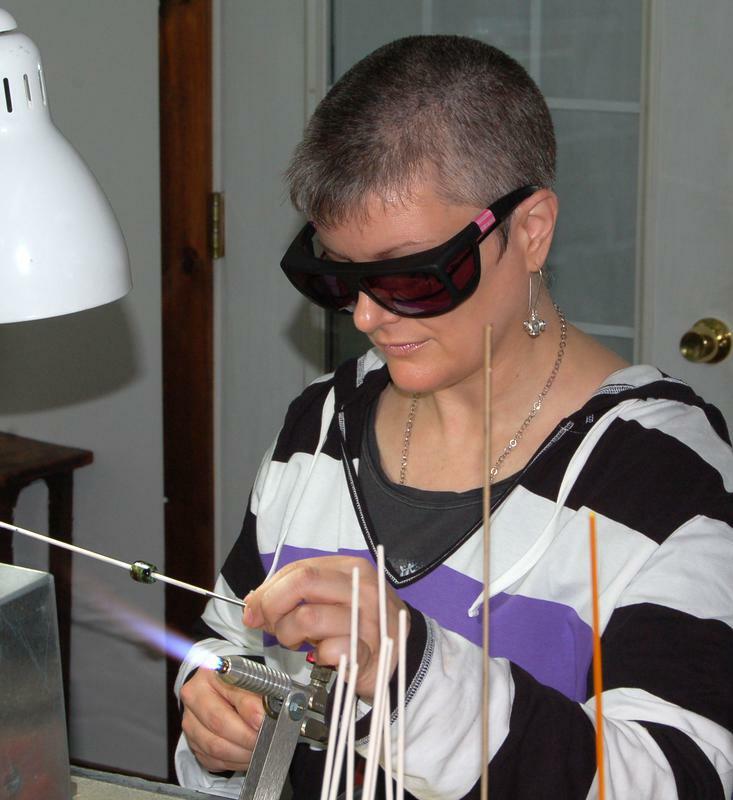 This 3-hour clinic will introduce you to the art of safely flameworking soft glass. 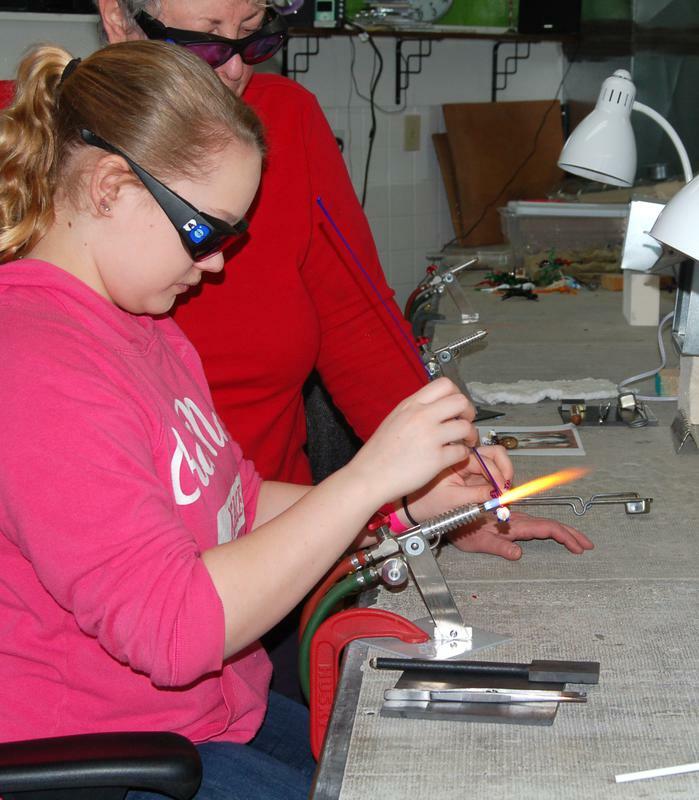 By the end of this session, you should have enough skill to work at the torch independently.You will learn to melt glass rods, wrap molten glass around thin steel rods (mandrels), and create basic beads and explore various surface decorations. You will produce 3-6 colorful treasures that you can turn into jewelry on your own. Enjoy a unique experience and gather stories to tell with 2-3 of your friends. 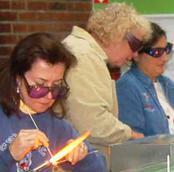 Learn to make glass beads or fuse glass.) Following your 3-hours of private instruction, you are invited to relax in our lounge and enjoy any refreshments you'd like to bring. Your class will be scheduled around your needs, any day of the week, including evenings and weekends. Pick up your project(s) after they have been annealed (cooled gradually to remove thermal stress) or they can be mailed to you for $6 payable to the instructor. Bring your cameras and your best wishes. You are welcome to decorate the studio and lounge and bring your own refreshments to share after the class. (Small refrigerator, microwave, and coffee pot available for your use.) Your class will be scheduled around your needs, any day of the week, including evenings and weekends. 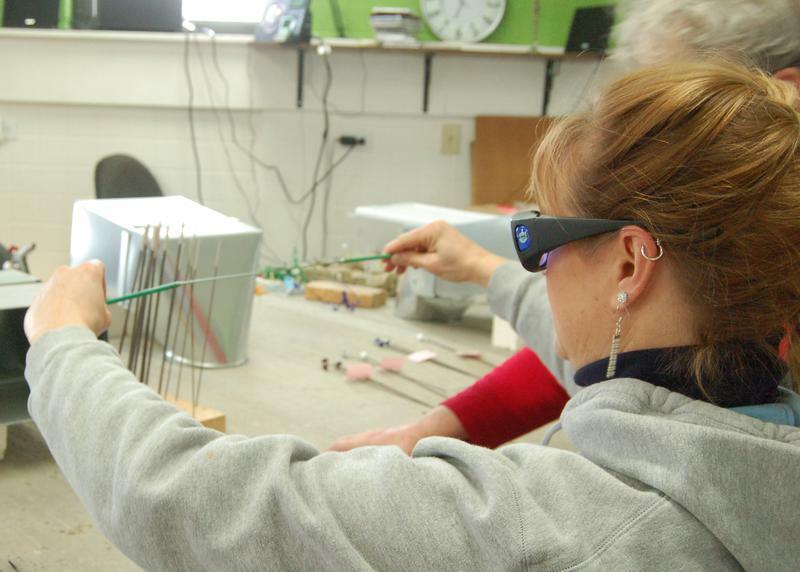 Now that you've gotten a taste of working with glass, you know there's so much more to learn. We will focus on expanding your skills, improving your heat control, and experimenting with new techniques, including shaping beads into barrels and lentils; raking, twisting, and plunging dots; and making ruffle beads, hollow beads, imploded discs, and tiger beads. spread over 3 sessions, plus 3 hours free studio time. Registration: Classes are scheduled to meet the needs and time frames of qualified students. To be placed on the waiting list, call 716-825-3333 or e-mail us. 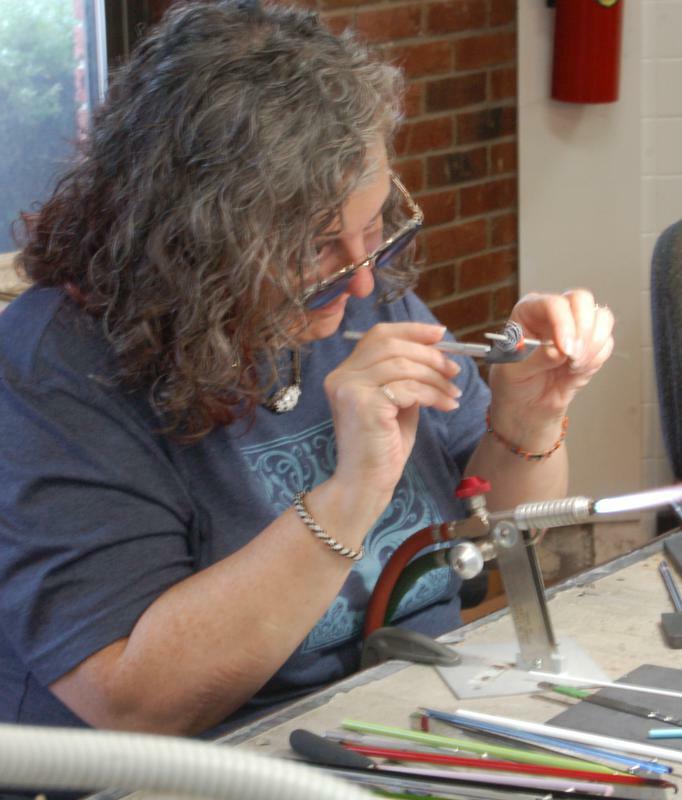 Interested in trying off-mandrel work?This class is for you. Gain the freedom to design and execute projects on any axis. 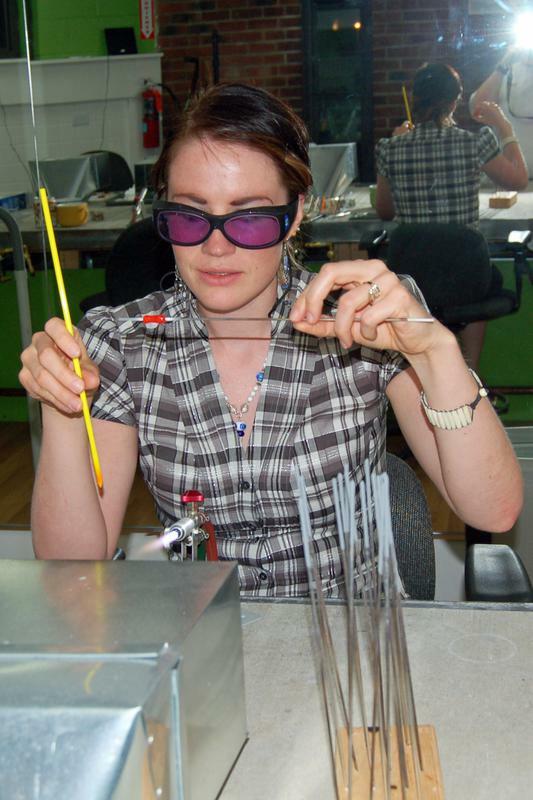 Learn to support your work with glass rods (puntils) rather than mandrels. Prerequisites: Demonstrate good heat control and comfort with basic tools (eg., marver, tweezers). Registration: Classes are scheduled to meet the needs and time frames of qualified students. To be placed on the waiting list, call 716-825-3333 or e-mail us. After you've been working at the torch for a while, you may hit a plateau or realize you are being held back by a few technical problems. Perhaps one or more of your skills needs to be tweaked? Maybe you'd like to learn a specific project or technique or prefer to learn in a private setting? Vicki would be happy to work with you one to one to help you reach your goals. 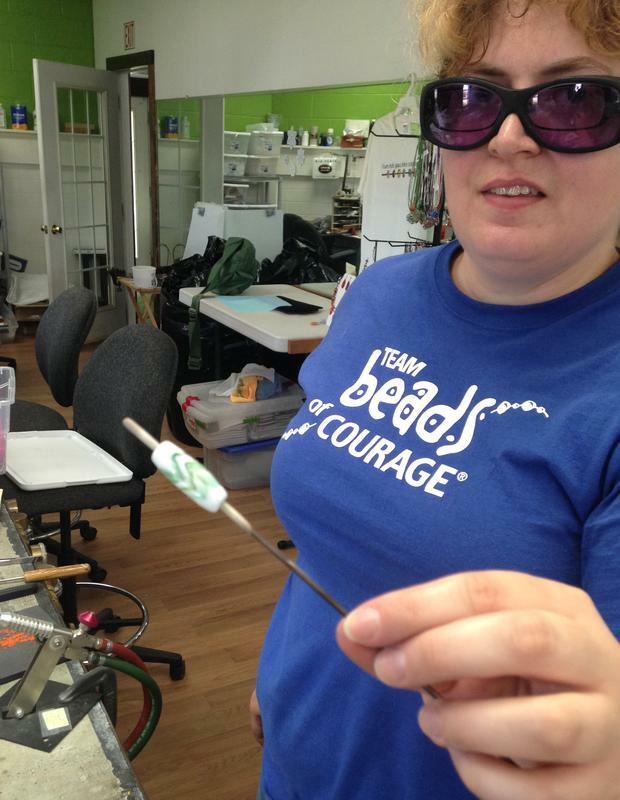 Has it been some time since you took "How to Make Glass Beads?" If it has been, you probably feel a little rusty. If you remember a lot of the basics, our "Basic Beadmaking Refresher" may be a good choice. During this individualized refresher we will review whatever skills you'd like from our introductory class. Our goal is to ensure you are safe and will feel comfortable working at the torch on your own. 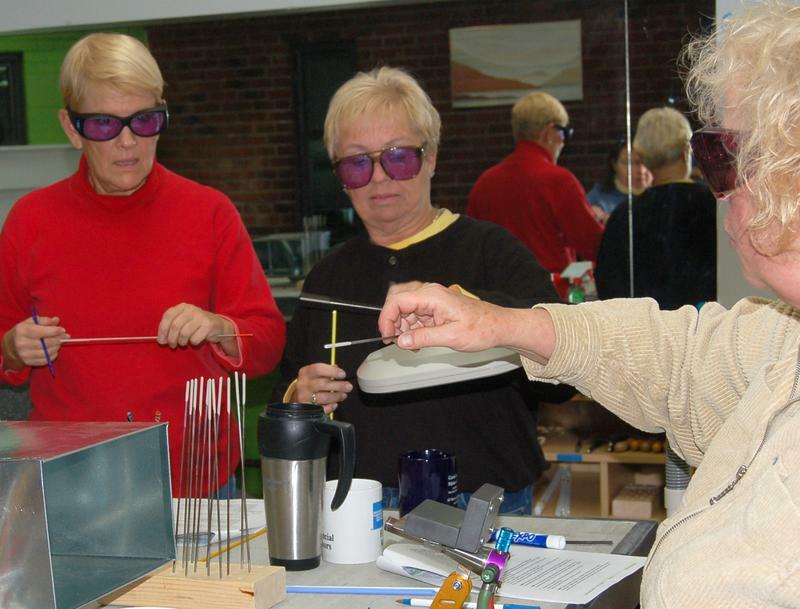 Would your group like to learn about something new and exciting?Come visit Expressive Glass and see how Vicki "turns hot glass into cool stuff." You will be amazed! 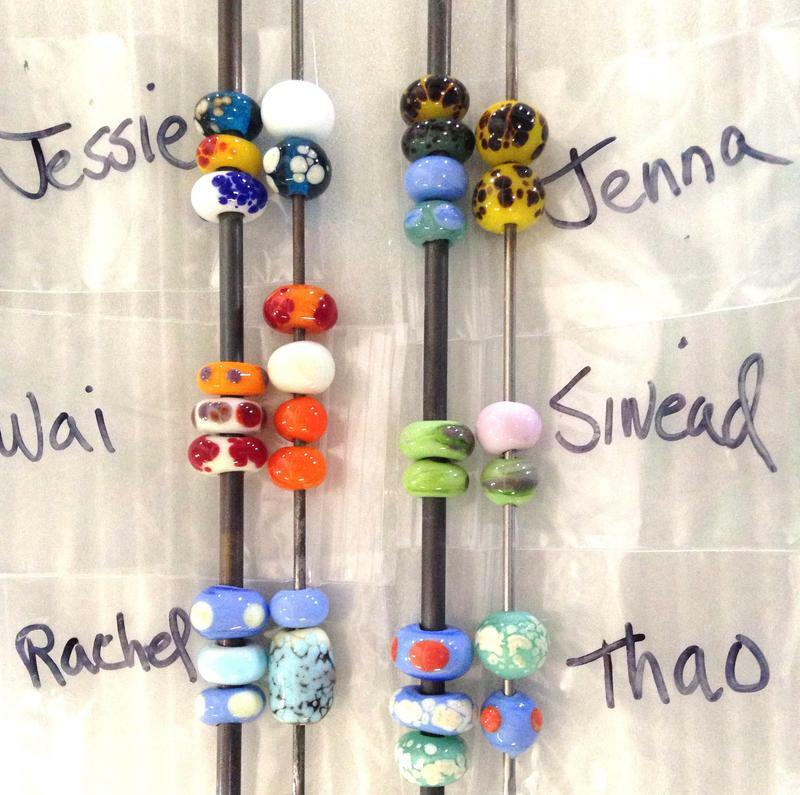 Each attendee will leave with one of Vicki's glass beads. Fun for all ages! Not ready for the full 3 hour experience at a torch yet? 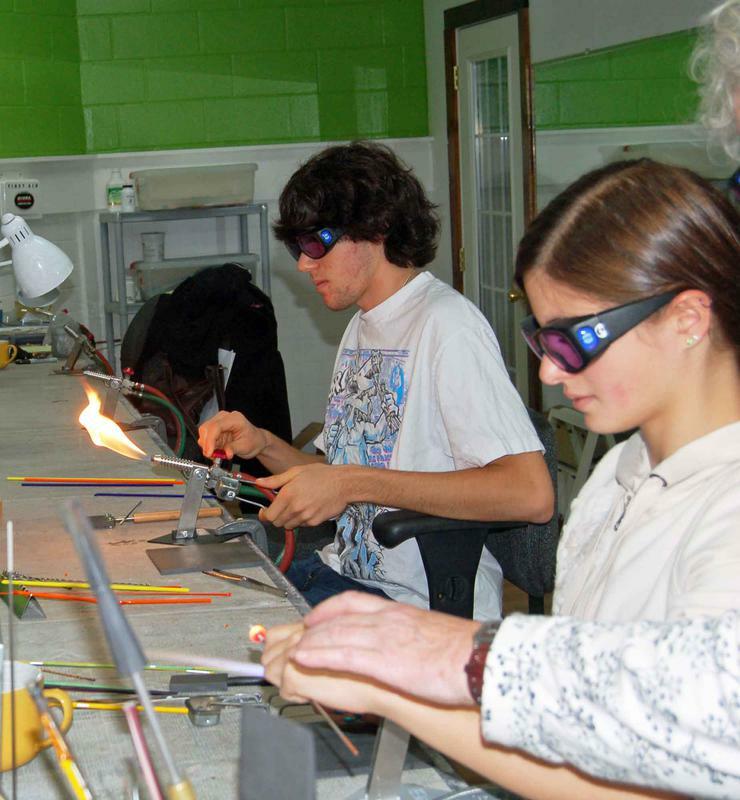 Sign up for a mini class and try your hand at making a bead or an icicle from molten glass. 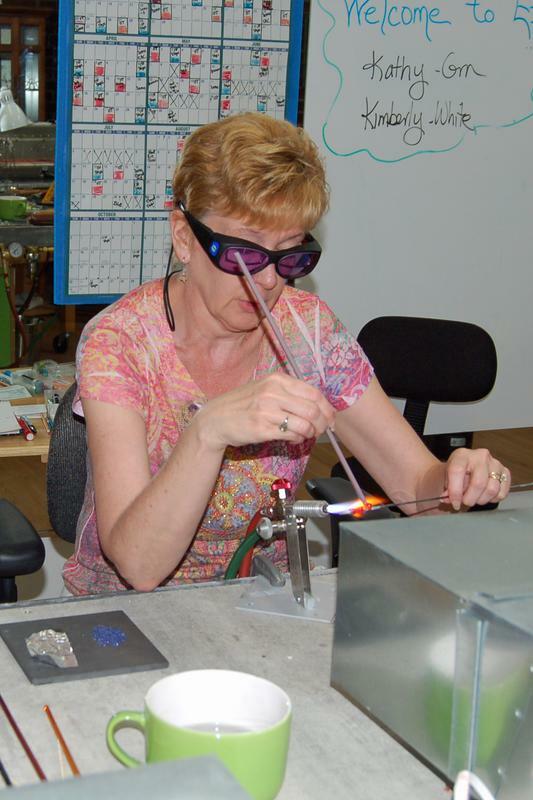 Vicki will guide you through the hands-on process step-by-step. Beads will be placed on your choice of a necklace, key chain, or bookmark. Icicles will be hung from braided metallic cord. 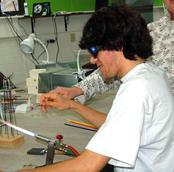 This mini class is modeled after the beadmaking experience offered at the Corning Museum of Glass. Pick up your project(s) after they have been annealed (cooled gradually to remove thermal stress) or they can be mailed to you for $7 payable to the instructor. If under 18 years old, must be with a responsible adult. Registration and Payment: Once you've scheduled the date and time of your class, please complete a registration form and pay for at least one project per person. 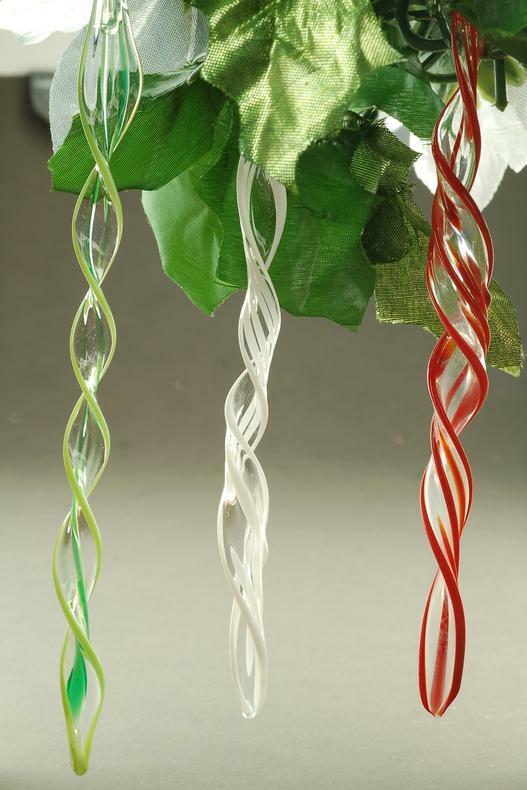 Create lovely glass icicles to adorn your Christmas tree or hang in your window all year long. 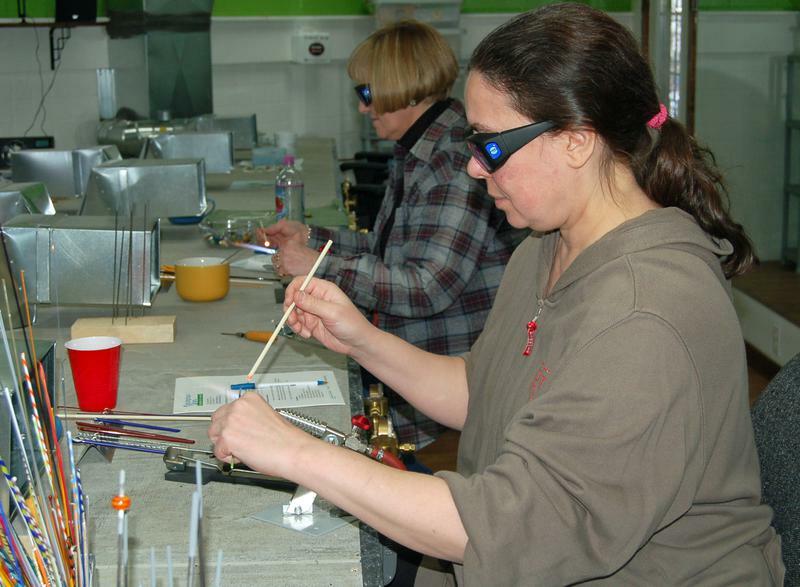 During the class, you will learn how to melt and stretch clear and colored glass at a stationary torch under close supervision. You may also be able to make a smaller version of the icicle to wear as a pendant. No experience is necessary - only a willingness to try. 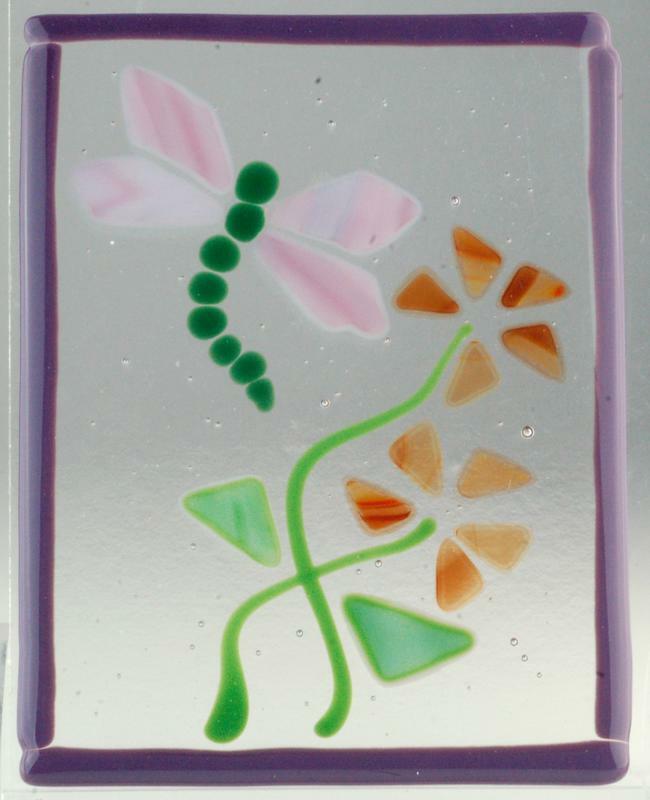 Make several glass pendants with beautiful floral designs that you will be proud to wear or give as gifts. 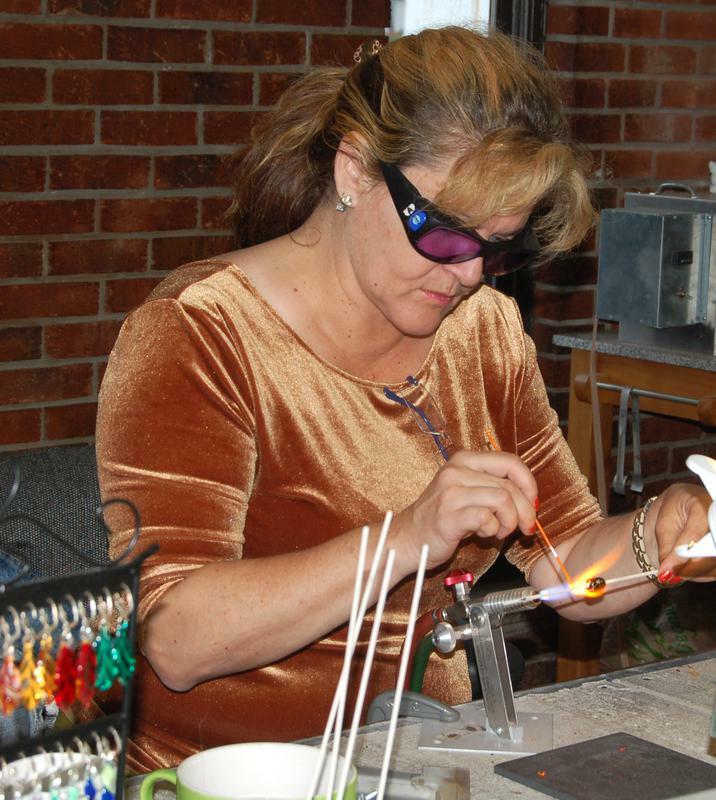 You will be amazed and mesmerized as you learn to melt and manipulate glass at a stationary torch under close supervision. No experience is necessary - only a willingness to try. Each pendant will be placed on an adjustable cord or, if you prefer, it can be placed on a sterling silver chain for an additional fee. 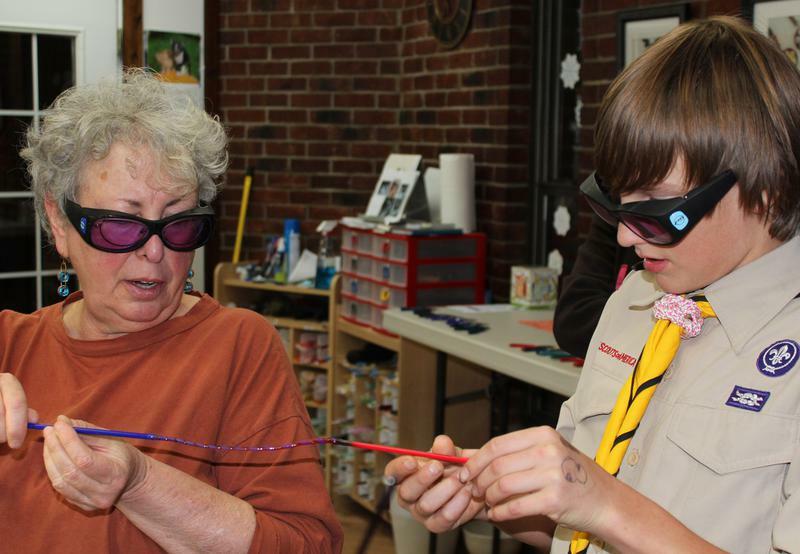 Try your hand at blowing your own Christmas ornaments. After learning how to light a torch, you will be taught the process of gently heating, rotating and blowing an ornament. Because this is a challenging skill, expect varying degrees of success. During the class, you may blow a maximum of three ornaments and will be gifted one ornament blown by the instructor. 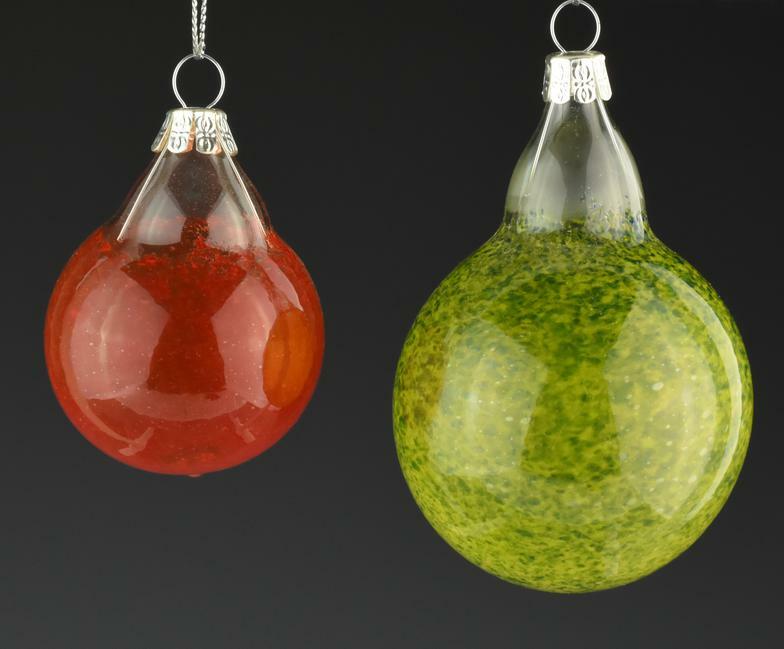 Time permitting, you may blow additional ornaments at $10 per ornament. 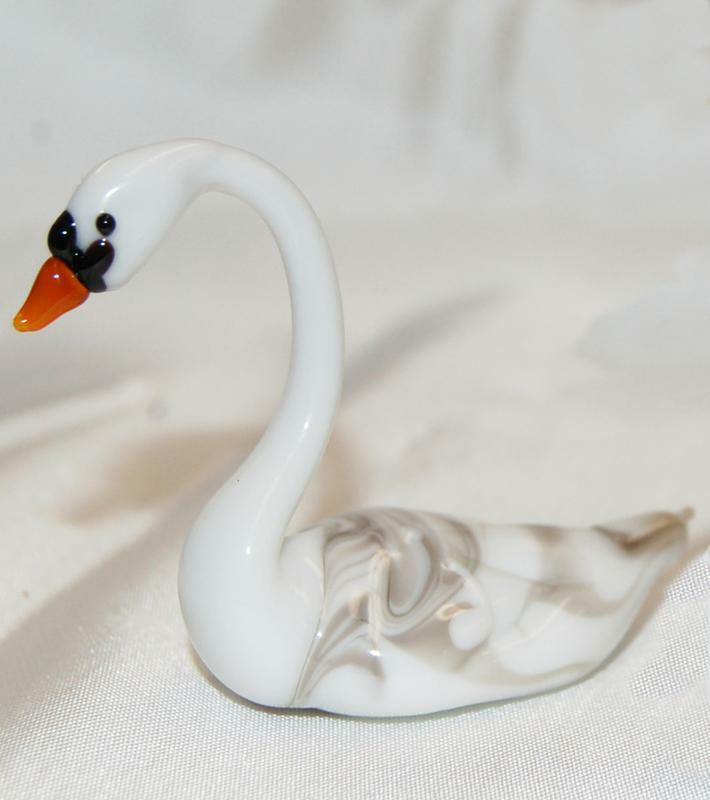 Pick up your ornaments after they have been annealed (heated and cooled gradually to remove thermal stress) or they can be mailed to you for $7 payable to the instructor. 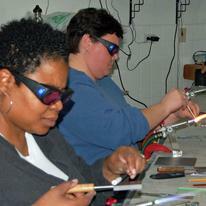 Make beautiful glass leaf pendants you will be proud to wear or give as a gift. 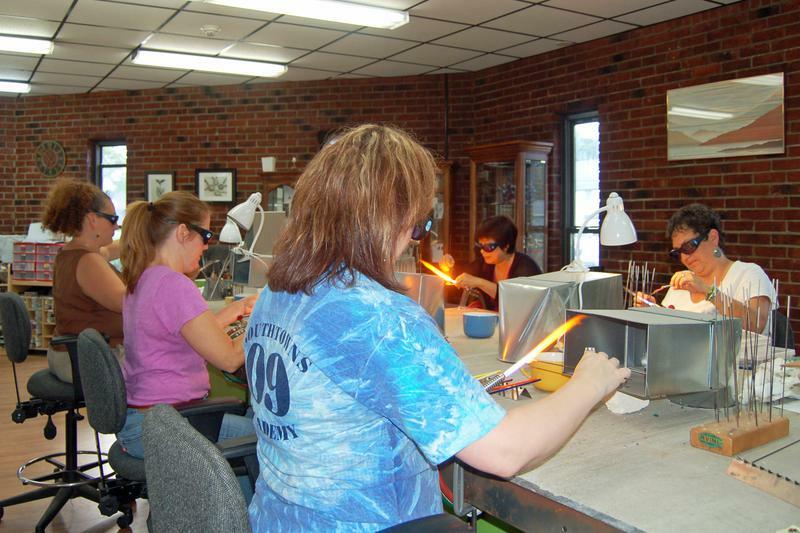 Learn to melt and manipulate glass at a stationary torch under close supervision. You will be amazed at how glass glows and stretches when it’s hot. No experience is necessary - only a willingness to try. 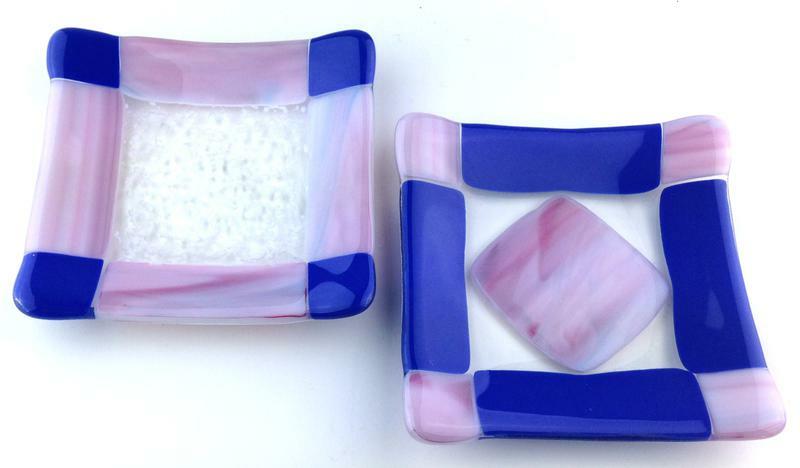 Pick up your project(s) after they have been annealed (heated and cooled gradually to remove thermal stress) or they can be mailed to you for $7 payable to the instructor. Make several beautiful heart pendants working "off hand" (without a steel mandrel to support your work.) 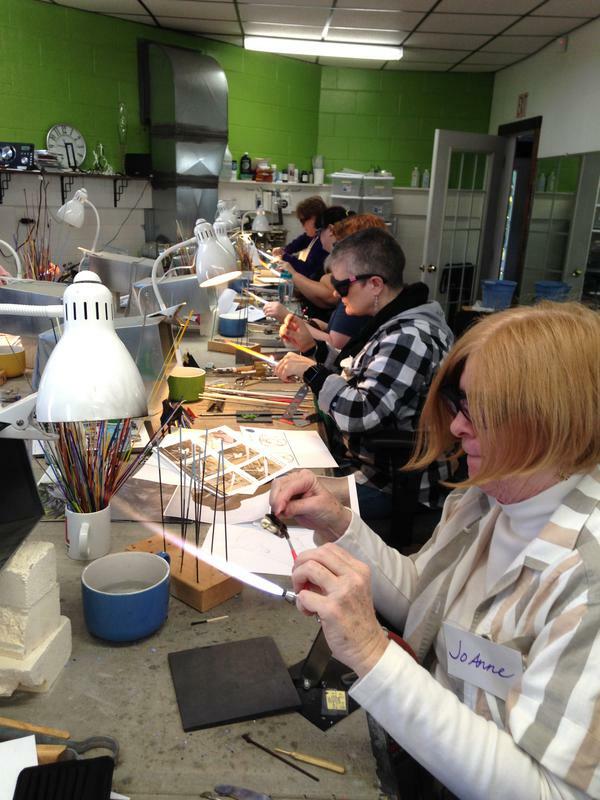 Experiment with frit (crushed glass) and raked canes to decorate your hearts and make each an individual masterpiece. Place your pendants on an adjustable cord or, if you prefer, on a sterling silver chain for an additional fee. Pick up your hearts after they have been annealed (cooled gradually to remove thermal stress) or they can be mailed to you for $7 payable to the instructor.